This item has been downloaded 742 times. 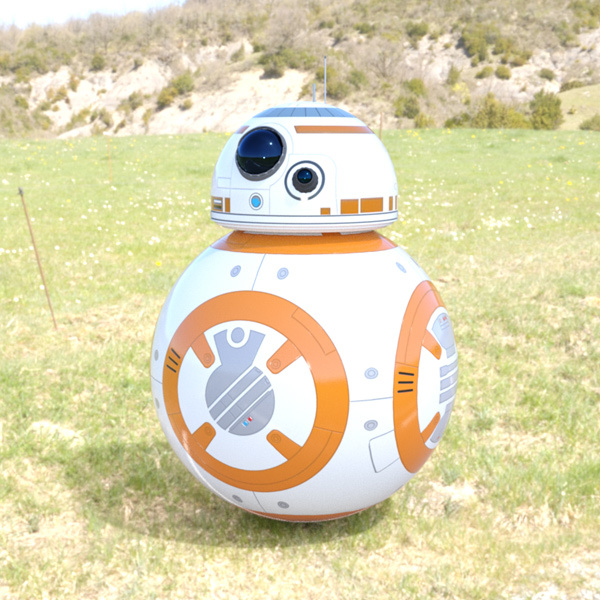 The BB-8 droid from "Star Wars: The Force Awakens". Although the robot is a fully-functioning puppet in the movie, this is a digital model for use in DAZ Studio. • One DAZ Studio prop: dsf, duf/ png, with 66,908 polygons. 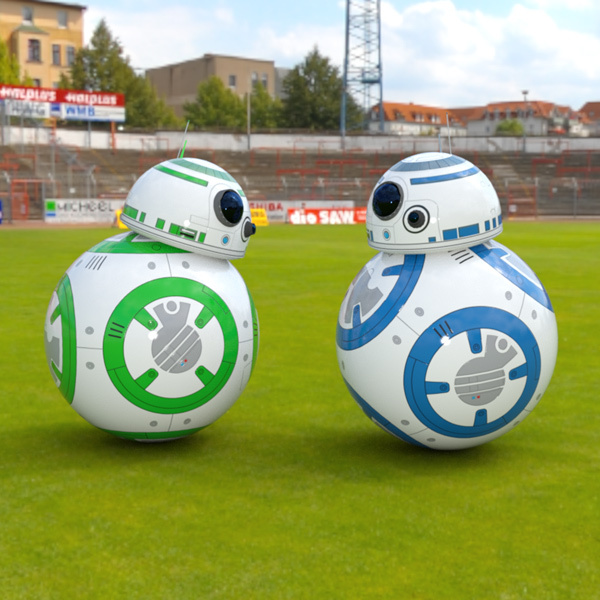 • Scaled to the DAZ people, roughly half the size of the R2 Astromech Droid. - Moving the Body part left-right or front-back will also rotate the main body ball. • The eye can rotate up-down or left-right. Note: all of the these use Iray shaders. Model by Richard Duda, DAZ Studio clean-up by JHoagland. Images made in DAZ Studio 4.9 with Iray.